Home » Data Science » Blog » Data Analytics Basics » What is Agile Sprint? Agile is a hot topic in reference to the current IT market with tech giants moving into Agile based SDLC(Software Development Life Cycle) from primitive models like waterfall and spiral and iterative models. Agile believes in continuous delivery over time-boxed periods. Agile as a process is composed of iterative and incremental approach towards the objective of meeting the desired work within the specified period of time. Agile provides an opportunity for consumer inputs even in the later phases of software development, there are regular and frequent demonstrations to the customer also referred to as business by the developers providing the scope for same. The measure of progress is the operability of the software. Agile Sprints can be defined as a series of time-boxed iterations used in breaking a complex software development process into a smaller achievable target, Sprints are core building blocks of the Agile SDLC model and can be considered as its primary characteristic. Sprints amalgamate the Agile principles with the scrum framework properties. Sprint planning period is used to plan for the upcoming sprint and is an event for the team to provide collaborative input to determine what work will be done and how will the chosen work be done. During this period the product owner, scrum master, and development team prepare a collaborative objective about the target of the sprint and the product backlog. The product backlog is moved to in progress state and by the end of the sprint planning, the team has a set of work item for the sprint. Daily Scrum refers to the daily standups in a team where the check-in are provided by the team about the progress of the work item, during these standups challenges and blockers are identified. Sprint Review is referred to the team demonstration about the sprint achievements to the stakeholders and is the final phase before the product hits production. Sprint Retrospective meeting is held after each sprint review and provides scope for the team to identify the areas of improvement for the next sprint. The company delegates a software development team for building the same. These iterations are referred to as sprints. How does Agile Sprint make working so easy? This division of a large process into smaller steps allows the team to focus on small term goals with incremental provisions. The team is on a common consensus about the sprint deliverable and aware of the challenges and blocks. The biggest advantage of Agile sprint is that it provides the opportunity for user feedback to be implemented, thus increasing the product reliability from the perspective of the stakeholders. Agile sprints provide scope for the development team to implement the changes as per the previous sprint backlog and as well be concentrated on developing the component rather than focusing on the entire product. The team has room to visualize on minute details pertaining to the product as well. What can you do with Agile Sprint? Agile sprint can be used to micro minimize a large scale activity into a sequence of small scale activities without any compromise towards the product characteristics. The Agile sprint allows the team to participate in regular knowledge building session, having an efficient discussion, focus on micro details, increase the trust with stakeholders. Agile sprints can be further divided into sub sprints providing the opportunity for more focus on details pertaining to the deliverable. Also, the consistent delivery system helps in building trust with the client as they are constantly involved in the sprint review. The product is saleable after the end of each sprint and each sprint completion can help the team to release a newer better product. Provides an opportunity for implementation of changes in product requirements. Should be proficient in facilitating communication as there is constant participation between the stakeholder and development team during the sprint reviews. Should be good in estimation and planning. Agile Sprint Scope and Why do we need Agile Sprint? Agile sprint provides scope for continuous delivery along with effective increments on the previous releases, thus agile is product ready mechanism from the end of each sprint. The stakeholder inputs, as well as the changes in product requirements, can also be included in later stages of the software development. Who is the right audience for learning Agile Sprint technologies? 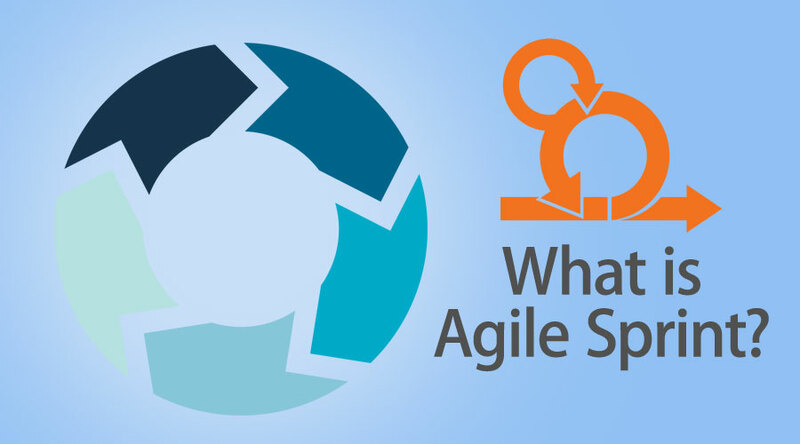 All the present-day software developers along with business analysts can be considered as ideal audiences for the agile sprint technologies from the software development perspective. Delivery managers and stakeholders can be considered an ideal audience for a stakeholder perspective. Agile is a part of the “big 4 “ IT trends now which includes Digital, Internet of Things, Automation. The world today is trying to switch towards an agile way to provide continuous delivery and build the customer relationship. Agile provides flexibility along with technological proficiency.